The Dahlia was similarly inspired by the natural formation of a flower. 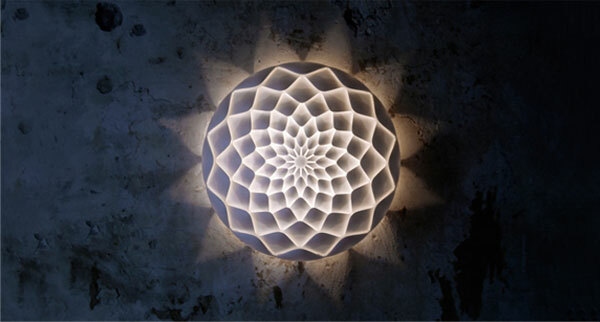 The Vasarely fixture is made from a weave that creates a beautiful graphic pattern. I like that you can mount multiple fixtures on a wall to create your own larger fixture.